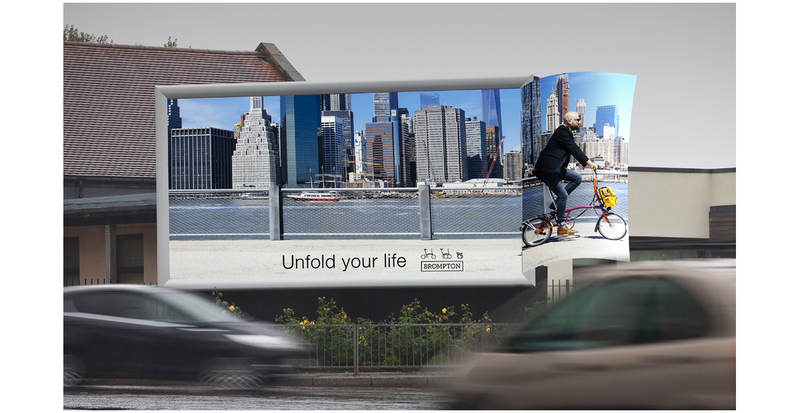 Advertising campaign dramatising the fact that not only can you take a Brompton anywhere, it will also help you to 'unfold your life'. Responsible for: concepts and copywriting. 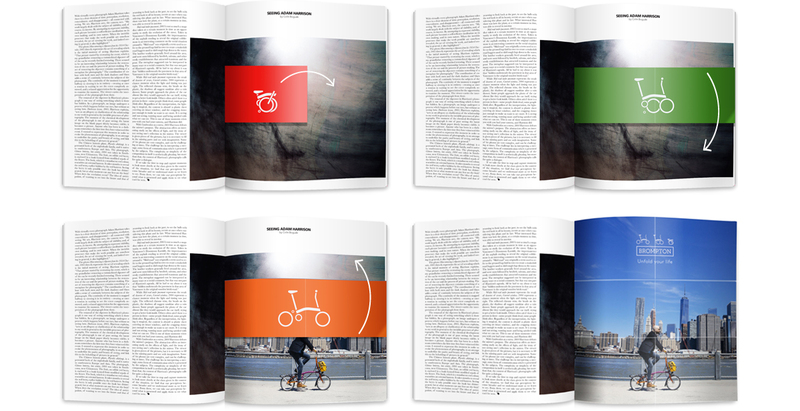 Brompton folding bikes – concepts and copywriting. A Brompton is a stunning piece of engineering. It folds down to just 585mm x 565mm x 270mm; so it can be taken on any train, tube or bus without restrictions, and easily stored at work. A tough steel frame and puncture resistant tyres mean it can take pretty much anything the city throws at it. All of its practicalities, build quality and design speak for themselves. But the most exciting thing about a Brompton is the freedom it gives you. A super-site poster campaign, magazine tip-in and campaign film all dramatise the fact that not only can you take a Brompton anywhere, it will also take you anywhere. It will literally help you to Unfold Your Life.